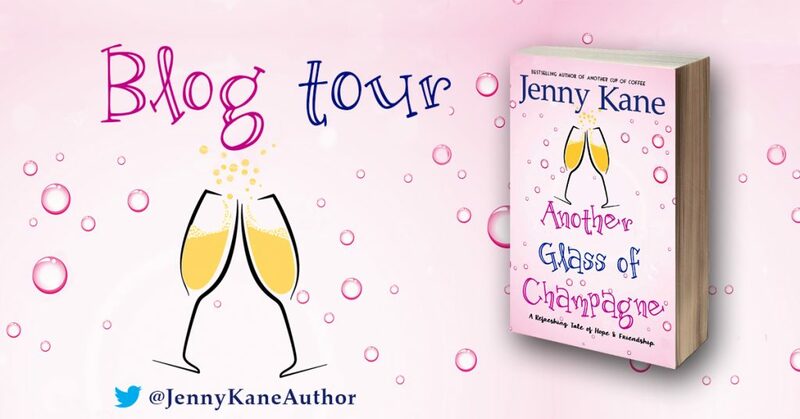 It is with great pleasure that I can announce, not only that Another Glass of Champagne has been selected to be part of the Accent Press Summer Read, but that my blog tour is about to begin, and my book launch is only a few days away! Over the next four days I will be visiting four fellow authors, chatting about Another Glass of Champagne, sharing a few of the secrets behind the story, and giving you a peep at the story itself via some tasty extracts. Do drop by the following blog pages each day from 9am and say hello. A massive thank you to my fellow authors for hosting me. The following links will work from the dates shown. 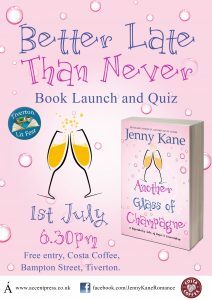 On top of all that- on 1st July I am holding my- rather late in the day- book launch for Another Glass of Champagne! This event will be held at my local Costa- where I wrote the novel- and will involve a book quiz for the whole family- with some great prizes! Part of the Tiverton Literary Festival’s occasional events, and supported by both Accent Press and Costa Coffee, this will be a relaxed, fun, free to enter event, with coffee and cake! If you are anywhere near Tiverton in Devon, I’d love to see you there. To add the cherry to my cup cake- the first 2 reviews for Another Glass of Champagne are in- and they are both 5 Stars! Happy reading everyone- don’t forget to come and say hello to me while I’m blog touring!